Anyone who has ever studied to master a discipline understands the everlasting impact of a wise and revered teacher on a receptive student. In my own discipline (classical organ), I was privileged to do my advanced studies under the world renowned Dr. H. Hugh Bancroft from England and, for as long as I live, I know I will always see his face and I will always hear his voice. The real life dancer is my niece, Pua Moefu, and the spirit Kumu Hula is Kapï’olani Ha’o (Hälau Ke Kia‘i A O Hula). 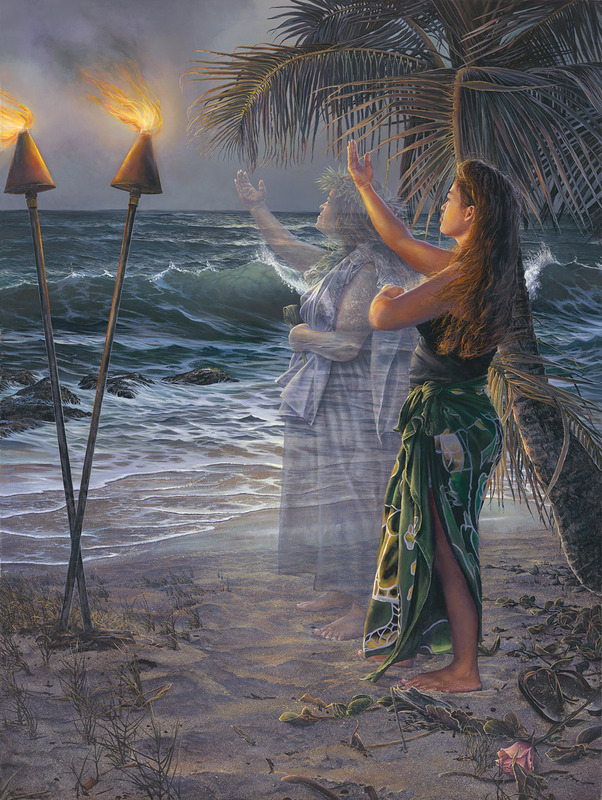 E Haumana, who will carry the torch boldly ahead when my time comes to lay it down? And who will speak for me when I am no longer with you?